Star Wars turns 40 this year, and Hasbro is celebrating in just about the most perfect way: its critically-acclaimed 6-inch Black Series figures are going right back to where it all started, both for Star Wars as a cultural force and for Star Wars toys. 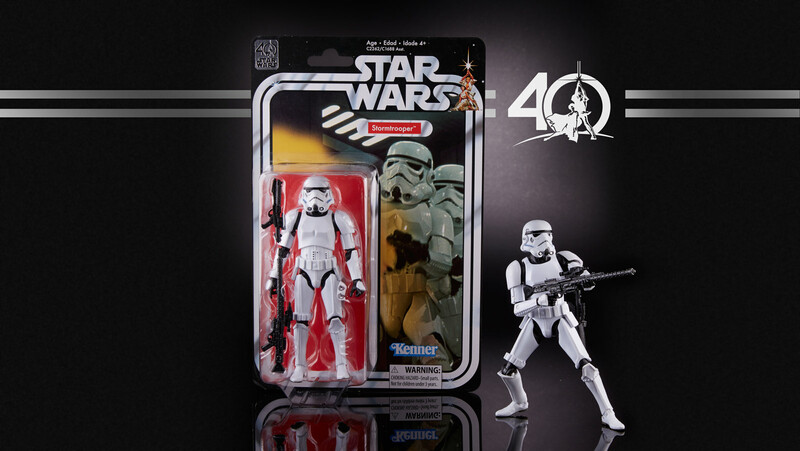 Hasbro revealed a special 40th anniversary Black Series wave this weekend at New York Toy Fair 2017 — 12 figures in all, consisting of the same lineup that Kenner launched the original Star Wars line with in 1977 — featuring vintage packaging, select upgrades, and a few surprises (spoiler: the Early Bird Kit strikes back, and it’s amazing). 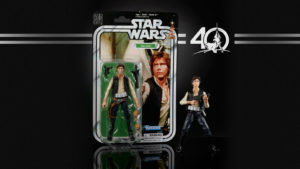 With the figures set for a spring release, StarWars.com e-mailed with Steve Evans, director, Design and Development for Star Wars at Hasbro, to talk about this special series that (to borrow a line from A New Hope) will be long-remembered. 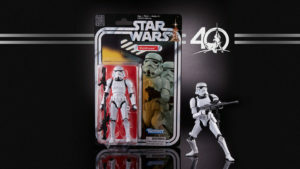 StarWars.com: I love everything about the 40th anniversary Black Series line, particularly how it leans heavily into both A New Hope accuracy and the history of Star Wars toys. Where did the idea come from to celebrate the anniversary this way? 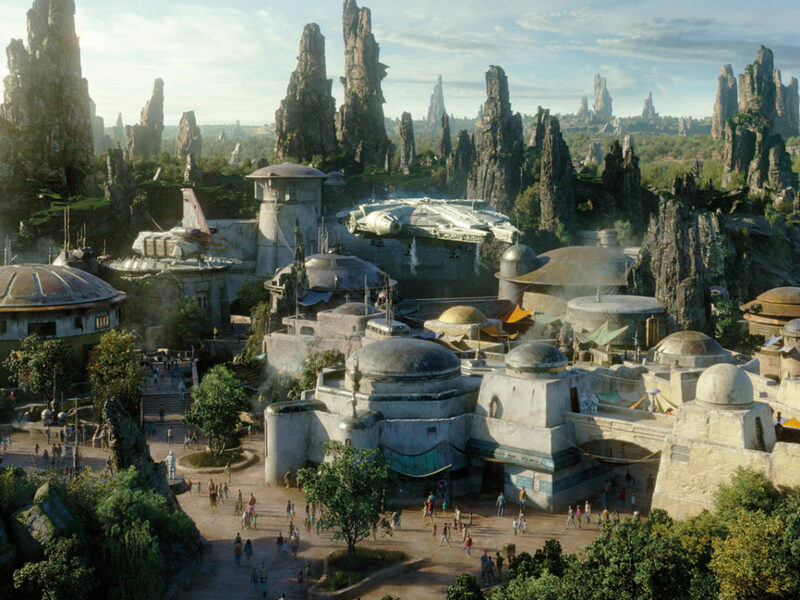 Steve Evans: We wanted to celebrate the 40th anniversary in a very special way, but in a way that also included newer members of the Star Wars “family.” This story, this universe that George Lucas created, really becomes something special when generations can pass it down and enjoy it together. 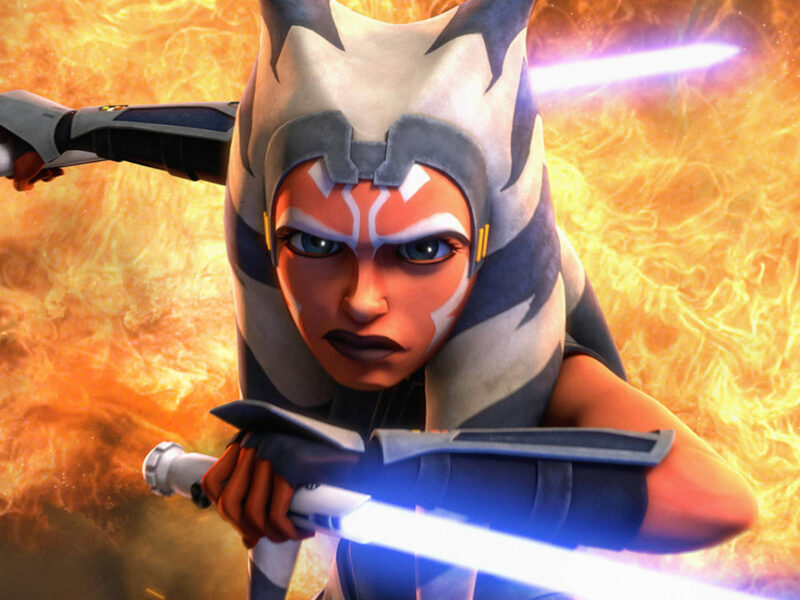 Star Wars is, at its heart, a story of family and generations. 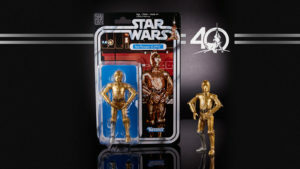 So the idea of merging newer toys and collectable formats with evocative vintage characters and packaging art was a natural way to accomplish this. 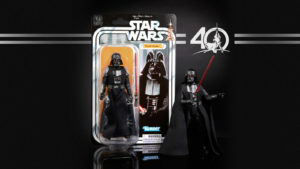 StarWars.com: I’m really struck by the Vader figure, which seems to have been tweaked from its original release. The helmet looks great and has red-tinted eyes, the cloth hangs beautifully. 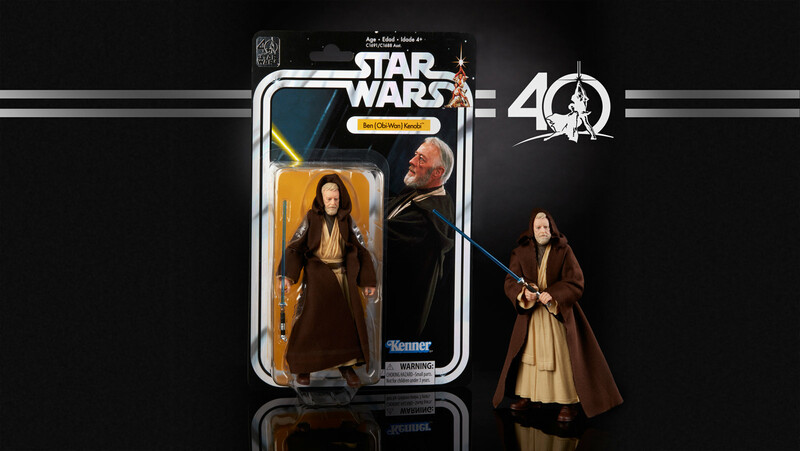 What can you tell us about the making of this figure? 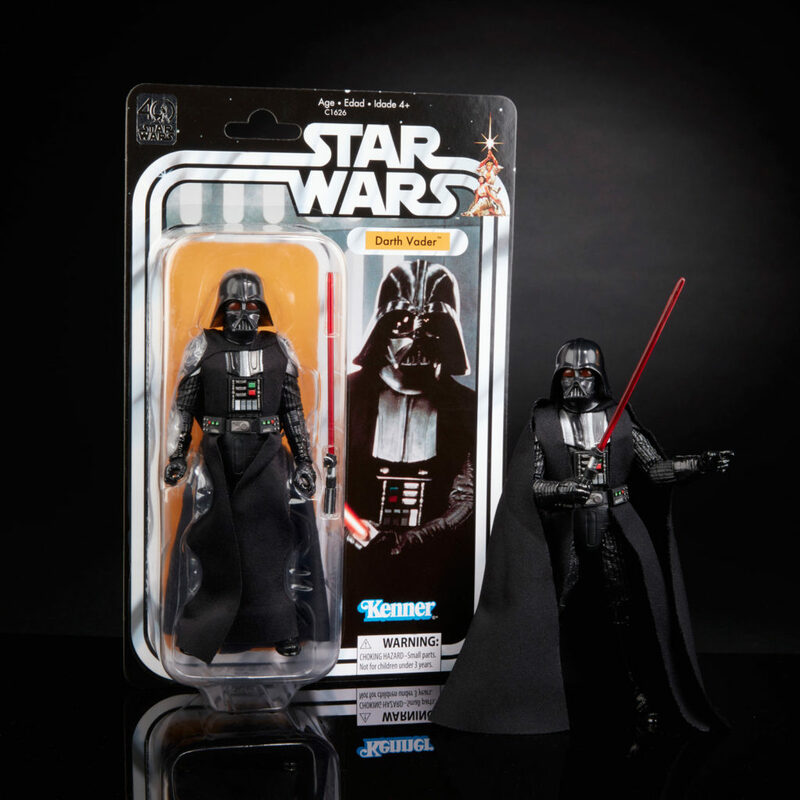 Steve Evans: We have previously produced a few 6-inch Black Series Darth Vader figures before, but never a Star Wars: A New Hope version. 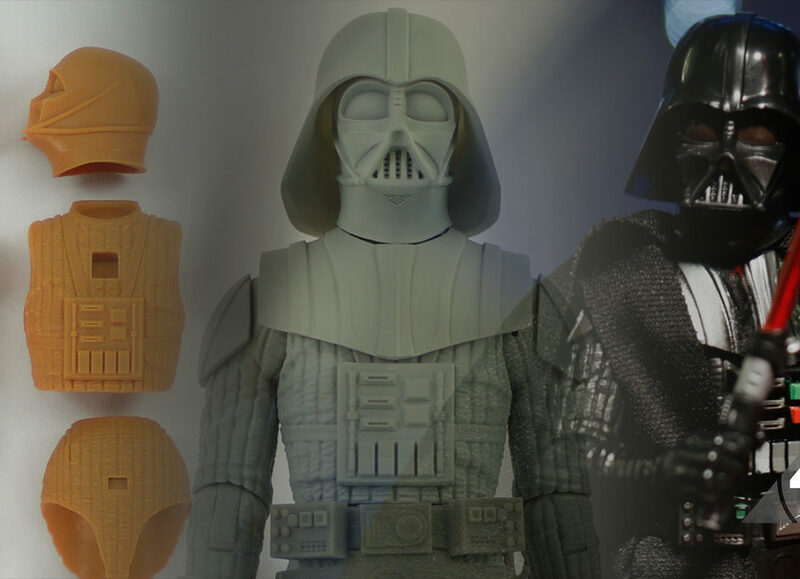 Believe it or not, there have been some visual changes to the Darth Vader costumes as he has evolved through the original trilogy: chest plate decoration, arrangement of cloak, subtle details on the helmet. Our mission was simple: to produce a pure and perfect Darth Vader. No gimmicks. 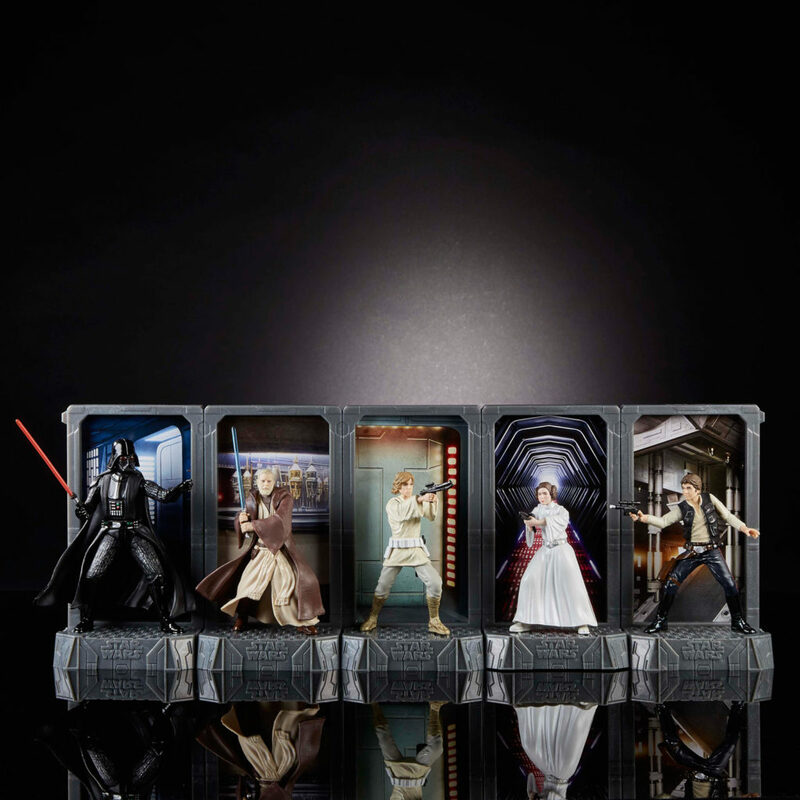 No removable this or swappable that. Just deliver THE look. The design and sculpting teams did a fabulous job. We even added very subtle silver paint decoration to the helmet to replicate the way the actual prop was painted in the movie. 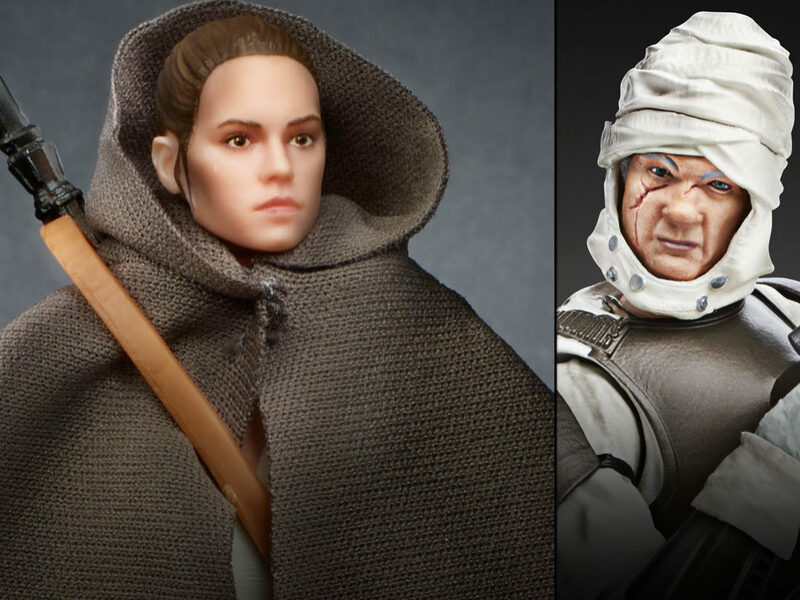 StarWars.com: And is that a new head sculpt I see on Leia? Steve Evans: Yes it is! We are always striving for improvement. Sometimes we hit a likeness the very first time and sometimes we look back and think, “If we had only tweaked that here or moved that there.” We must also remember that what we see on on the screen in digital sculpting often can look a little different when actually molded in plastic. Plastic has a tendency to cool down unevenly and that can cause distortions. 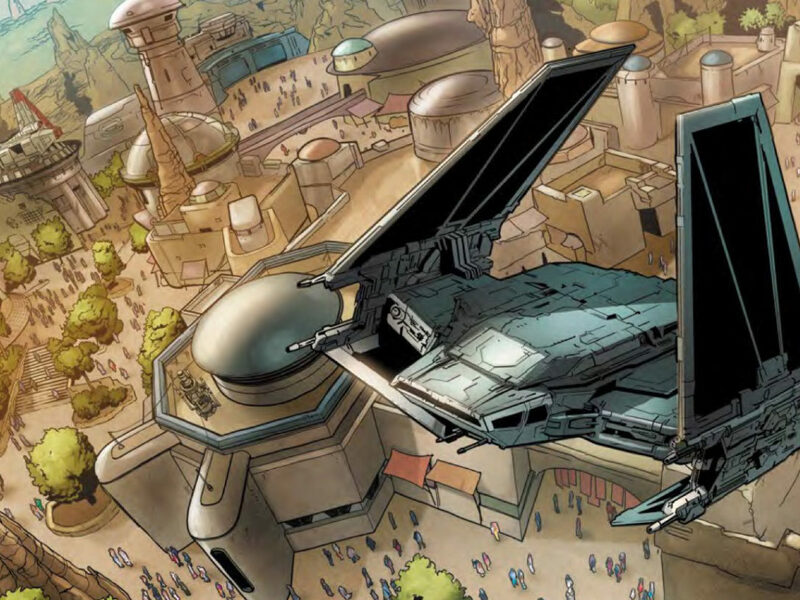 But in this instance, we really felt we could go back and subtly improve the final product. 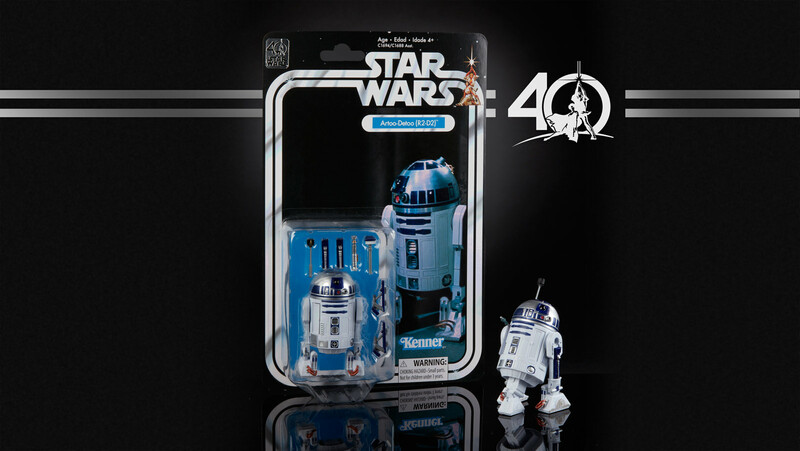 We knew we were planning the 40th anniversary card backs and felt that was an appropriate place to update it. 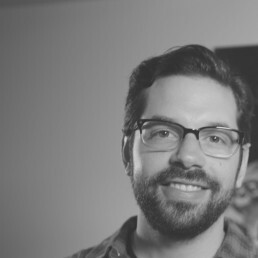 We also needed time to implement the change as it takes a while to move a sculpt change through the development process. 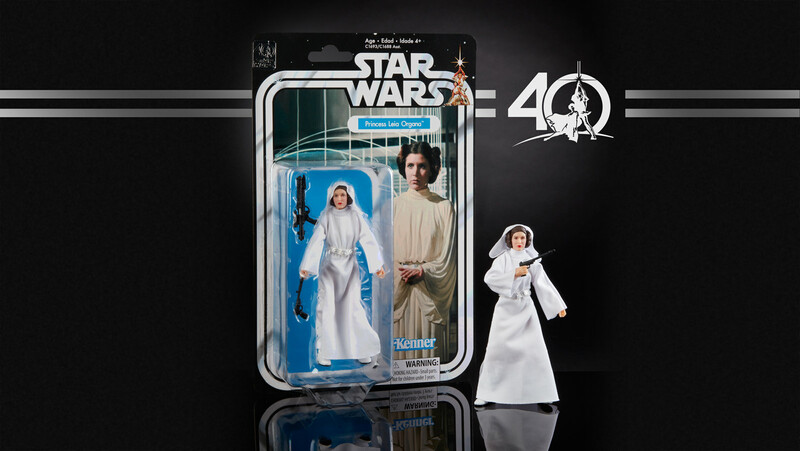 The feedback we have received on the new Leia sculpt has been wonderfully positive. It just goes to show that a subtle change here and there can make all the difference. We are all very happy with her look. Especially when we see how she being photographed by the artists that participated and submitted their #hasbrotoypics. StarWars.com: Have any other tweaks been made to classic Black Series figures? 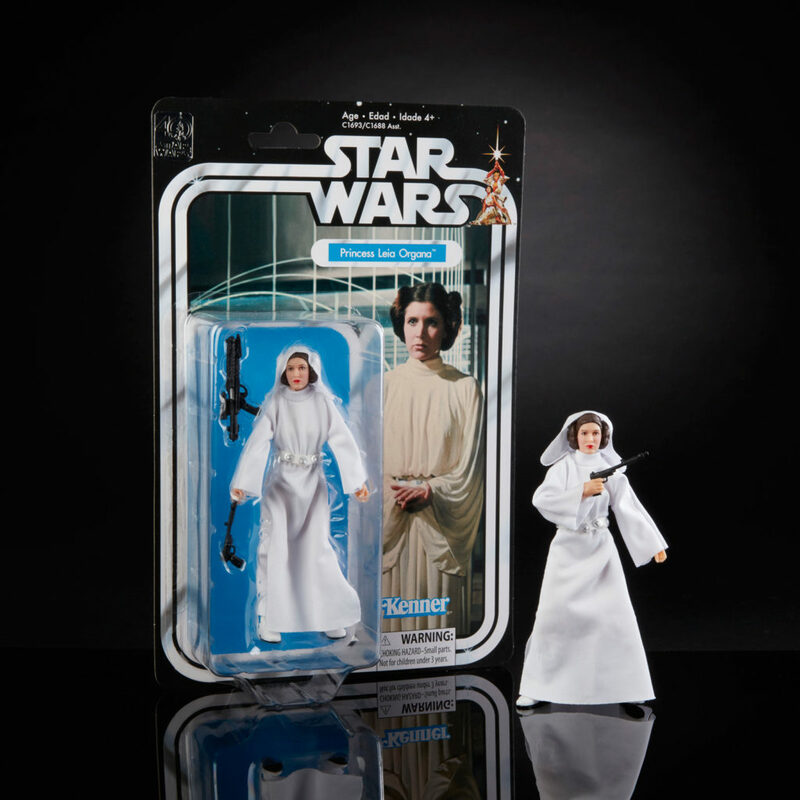 Steve Evans: No, Leia was the only one that was updated. 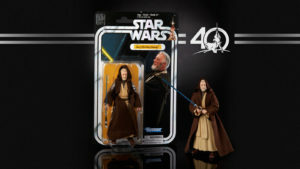 This initiative was focused on a new packaging expression and enabling fans to easily get their hands on figures they may not have easily be able to find or afford elsewhere. 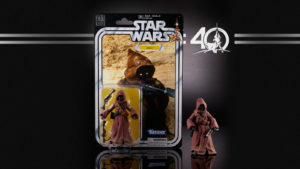 StarWars.com: We’re also getting new figures — Jawa, Tusken Raider, Death Squad Commander, and a wide release for C-3PO (who was a former Walgreens exclusive) — in the Black Series line. 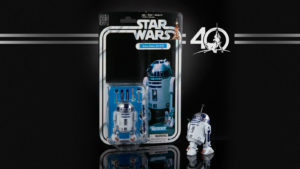 This will complete the “original 12,” or the original 12 Star Wars toys released in 1977. Was this especially exciting for the team to do at this time? Steve Evans: It really was an easy decision. 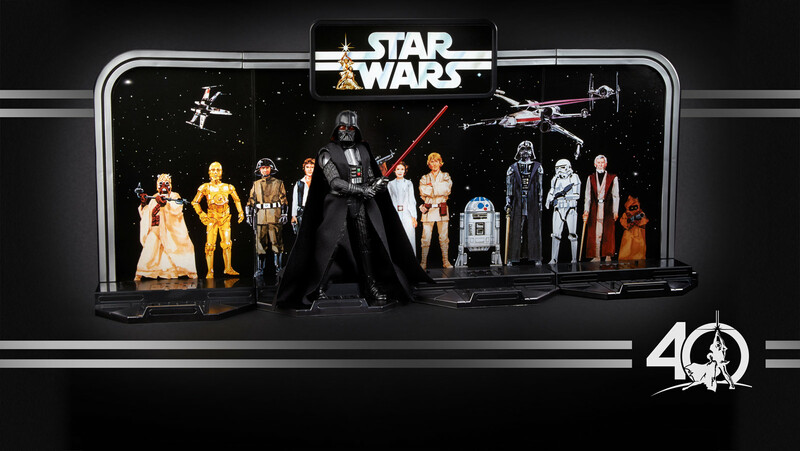 We wanted to honor the fact that Star Wars started with 3.75-inch figures but also nod to the fact that we now have 6-inch figures too. 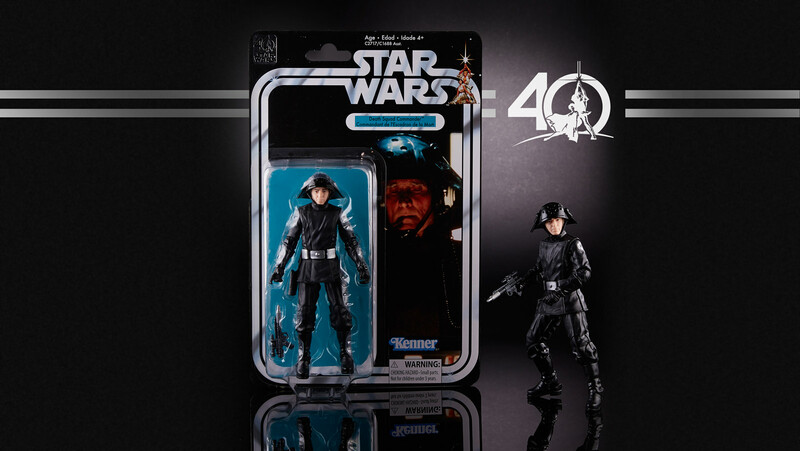 The fact that we were already so close to the having the first 12 (1977) figures in the modern day 6-inch Black Series made it just such an obvious project. 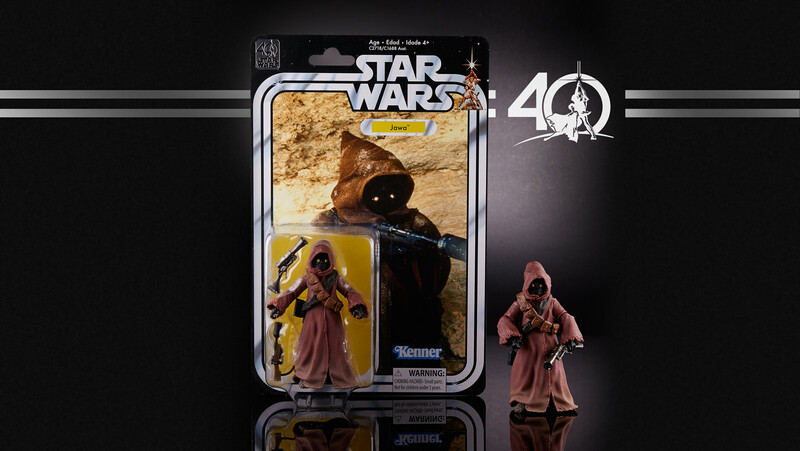 We also didn’t need much of an excuse to do a cool Jawa and perhaps a more left field Death Squad Commander. Plus, I think we all wanted to see those evocative card backs at a larger scale. 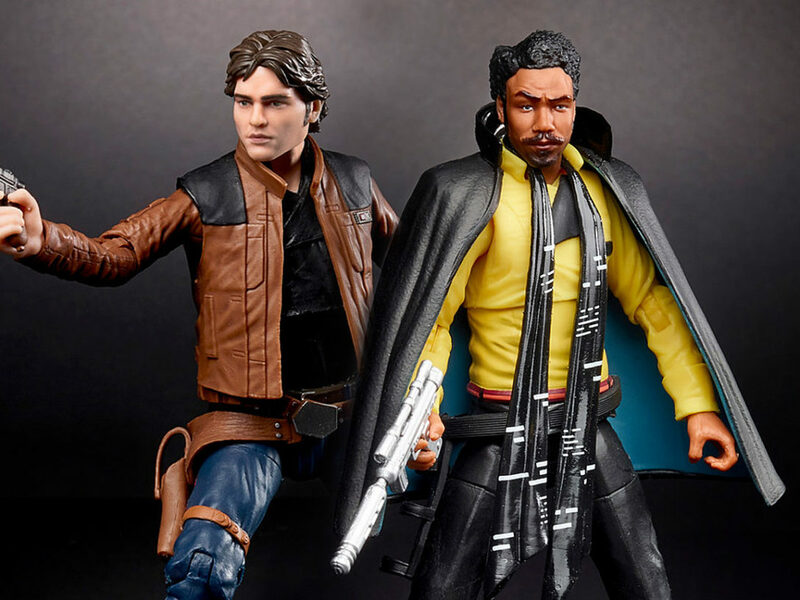 I also personally liked the fact that we could deliver earlier Black Series figures to collectors who perhaps have only started collecting 6-inch and missed them first time around. 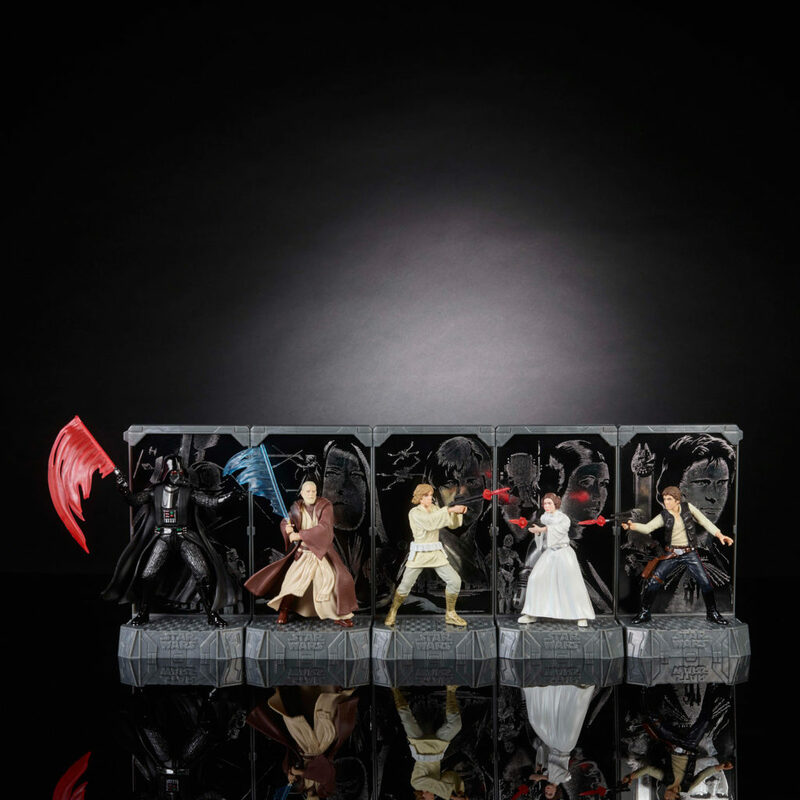 And for those who may have them already, they get a very different and meaningful packaging expression. 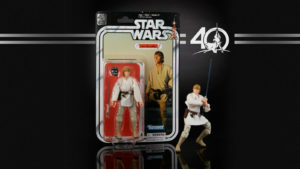 StarWars.com: The retro packaging is charming and seems to have been done with real care — you even have the Kenner logo on there. 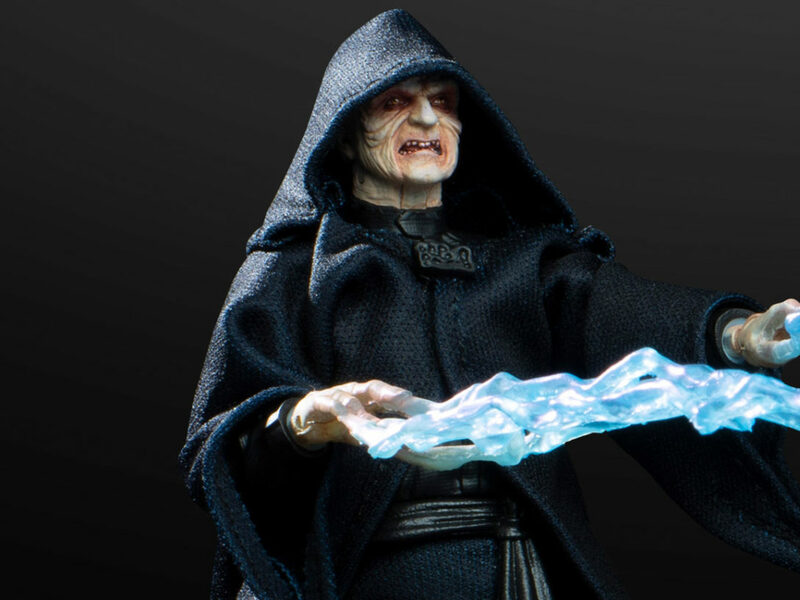 What was the process in adapting this classic look for the Black Series’ 6-inch scale? Was it difficult? Steve Evans: There were a few considerations we took into account when designing these. Getting the artwork to print with a good resolution as we make the card backs bigger was certainly tricky. But we 100 percent wanted to replicate the original art faithfully. Bear in mind that the majority of the images were original scans of physical photographs that were over 40 years old. 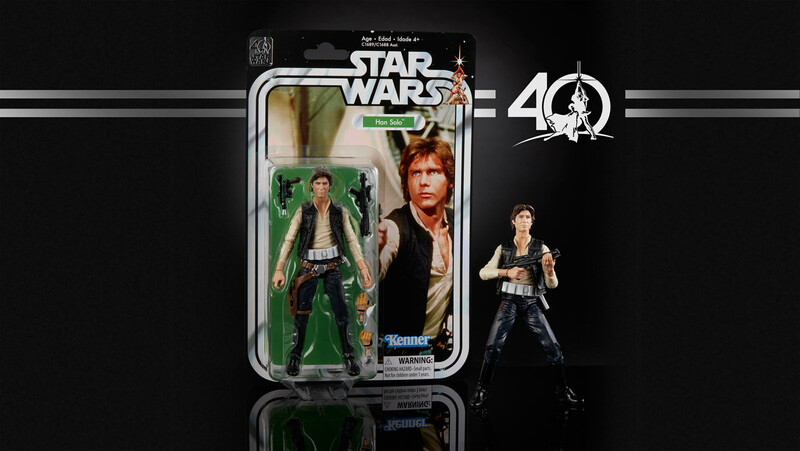 But in a way, the imperfections are what makes these packs charming. 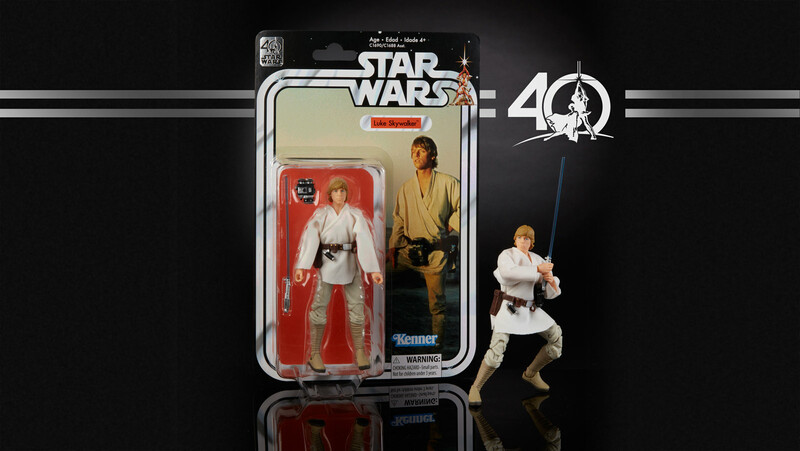 We also needed to proportionally reduce the height of the card back in relation to the figure. 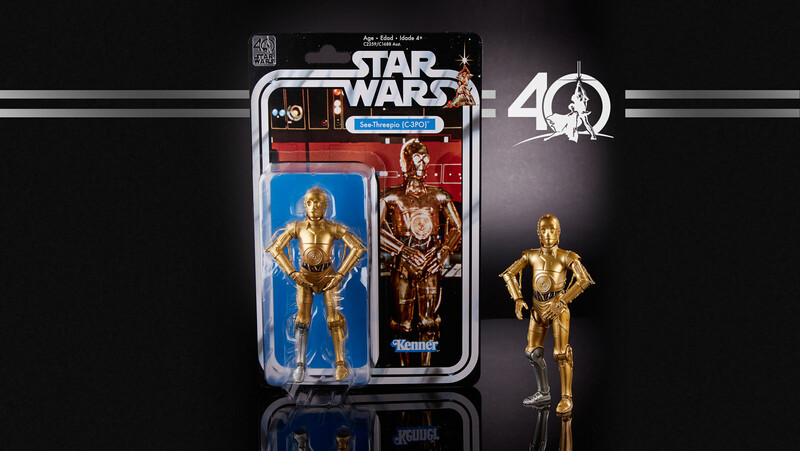 If we kept the same proportional scale as the original 3.75-inch packaging from 1977, the new 2017 6-inch versions would have been too tall and prone to damage. That, plus the fact that we needed to punch the peg hole in a different location to ensure the figure hung straight, meant we had to rearrange the logos and other elements slightly. 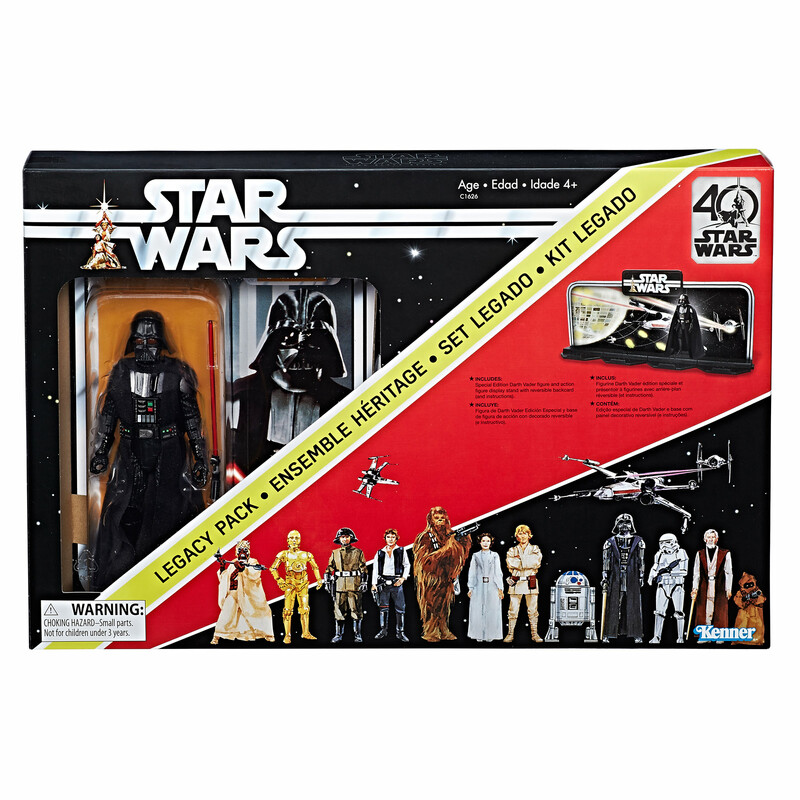 StarWars.com: On that note, I couldn’t believe it when I saw the Legacy Pack, an obvious homage to the Early Bird Kit from 1977. Steve Evans: To say that the introduction of the Star Wars universe was pioneering or groundbreaking would be galactic-sized understatement! The Early Bird idea was no exception. Sell a cardboard “promise” to thousands of eager kids before the toys were even made, and then ship the toys to them when they were ready. It was crazy. Crazy brilliant! We of course couldn’t do that today, but we loved the idea of taking the graphics form that “product” and applying it to our commemorative pack. It has a VERY distinct look and those who know what it is and means are naturally drawn to it. 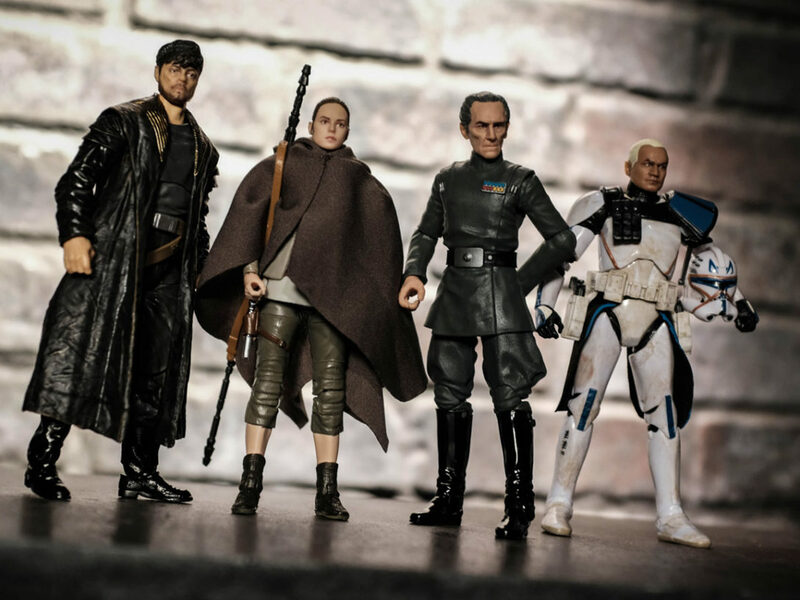 StarWars.com: In addition to the Black Series 6-inch line, you also have the new Titanium 3.75-inch figures, which look like beautiful miniature statues. Where did the idea for this line come from? Steve Evans: We were looking for new expressions to add to the 40th anniversary line and the Titanium line was a nice way to expand the offering. 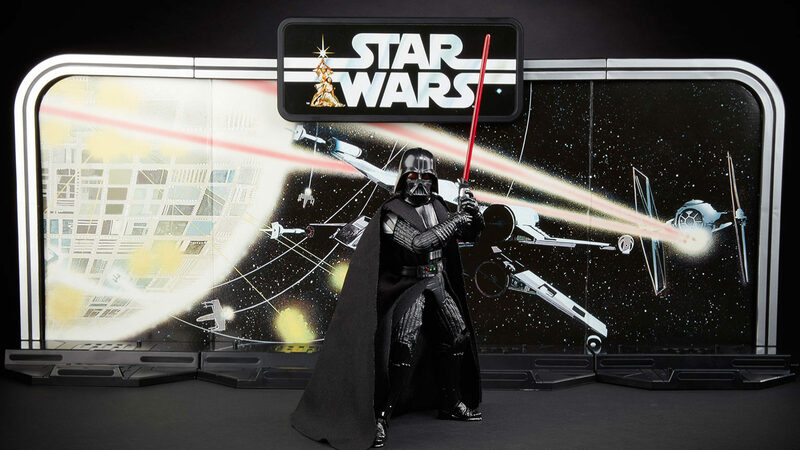 Very early on in the ideation, we liked the idea of having reversible backdrops for these “moments-in-time” poses. So once we found the moments we wanted and the backdrops that fit, which were different from each other, we had our pose! 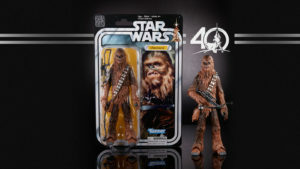 StarWars.com: Is there anything you want fans to know about what went into making these figures, and what celebrating the 40th anniversary of Star Wars means to Hasbro?